BRYAN EATON/Staff Photo. 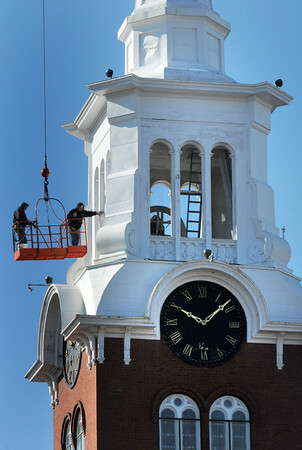 Workers from American Steeple and Tower Co. from Salem inspect the higher reaches of the Central Congregational Church in Newburyport. When the inspection is complete it is expected that some repairs could be needed.